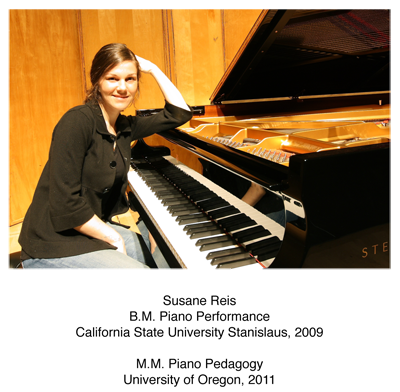 I am happy to announce our partnership with The Eugene Piano Academy. Susane Reis, and her outstanding teaching staff, have earned high marks from music educators and parents in their pursuit of music education and contribution to the community. As president and owner of Classic Pianos, LLC, I pledge my family's continuing support of music education, marketing, sales, and customer service as we proudly bring shipments of YAMAHA pianos directly to the greater Eugene market -- now available at The Eugene Piano Academy. Choose from our entire inventory of beginner pianos – up to Premium Grand Pianos by Yamaha and Bösendorfer – in every price range, and for any piano need, during our Celebration Sale." For the past four years, Classic Pianos has won the Top Dealer Award from Yamaha Corporation of America and Bösendorfer Der Klang, Der Berührt "In Recognition of Superior Sales & Marketing." Direct institutional discounts during our celebration. World's most popular piano brand names available. Beginners to advanced artists can select from our entire Classic Pianos inventory. Silent, and AvantGrand "hybrid" instruments. Used Steinway & Sons pianos. Please fill out this form with any question about new or used pianos, special sale events, or write your own comments about Classic Pianos, and we will respond as soon as possible. All of our new & used pianos come with our Five-Star Lifetime Trade-Up Policy. "The Academy has been a dream, born out of years of research in the study of teaching and playing the piano. The dream stems from my beginning years in piano lessons and my struggles as I realized that much was missing from my initial training when I entered college. I took time to find myself as a pianist when I entered the academic study of music, discovering an expanded world of creativity as I traveled coast-to-coast with a touring musical group. 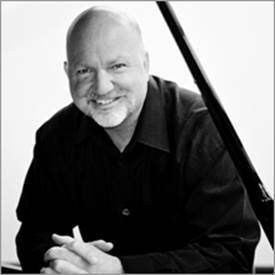 My joy in locating in Eugene gave me the opportunity of studying with some of America's finest professors, and networking with recognized international pianists and master teachers. Thanks to the support of my mentors, both during graduate and undergraduate studies, I have found the confidence to make my dream of teaching and inspiring young musicians a reality. In fact, Unis had grown up around pianos. His maternal grandfather, Maurice T. Schuster, a violinist and piano tuner, owned Acme Piano Company in the Sellwood District and had played with the Portland Symphony Society for the 1937 President’s Dedication of Timberline Lodge at Mt. Hood. Schuster loved his grandson’s interest in pianos and coached him in the selection and restoration of worthy instruments — especially vintage names of the Golden Age. And for a brief time, Unis’s father had also run a piano shop on SE Belmont when he was just out of law school...before following his destiny as lawyer and judge...ultimately retiring from the Oregon Supreme Court as The Honorable Richard L. Unis. Moe’s Pianos became Portland’s most recognized name in piano sales and service in the 1980s, and Unis was often consulted by piano retailers from all across the country who wanted his expertise. Unis always claimed...about Moe’s back then and about Classic Pianos today... that there really is no secret: just give the buyer the widest possible choice, devote yourself to customer service, and be happy to take the same piano back on a trade-up — no matter how many years down the line. In 1989 Unis sold Moe’s to Sherman & Clay and stayed on as general manager for six years before organizing Forte Marketing Group, a national company that produces event sales for major dealers and piano manufacturers across America. Meanwhile, a fourth generation — Brian, Aaron, and Taylor — began taking a serious interest. From childhood, they’d watched their father disassemble, clean, repair and refinish pianos — in the shop, the family garage, and even in the living room. They, too, were hooked. In 2001 Maurice Unis and his eldest son, Brian, opened Classic Pianos - next to the Aladdin Theater - at 3003 SE Milwaukie Avenue in a historic building that had earlier housed a violin maker. As soon as the shop was established, there grew up around Classic a very diverse community of piano-related businesses ― craftsmen and technicians dedicated to the restoration of fine old instruments, a piano moving company, and piano teachers working out of studios that had once been part of The French School. Classic Pianos has been a strong supporter of music education and the arts. Partial list includes: Oregon Music Teachers Association, Portland Piano International, The Oregon Symphony, Portland Youth Philharmonic, The Eugene Symphony Association, Hult Center for the Performing Arts, Oregon Bach Festival, Chamber Music Northwest, Friends of Chamber Music, Classics & Croissants Concert and Master Class Series, Pacific Youth Choir, Oregon Public Broadcasting, and many others. The company profile and personality of Maurice Unis, and his fourth generation piano family, creates the perfect fit for celebrating his announcement of CLASSIC PIANOS AT THE EUGENE PIANO ACADEMY.